I enjoy watching documentaries. 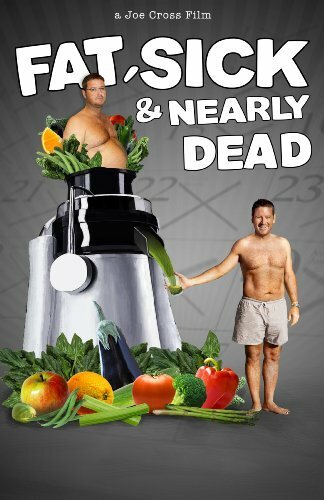 As someone entering the fitness field, and looking to coach people into lifestyle changes, I finally got to watch a film, which I had wanted to see for awhile, called Fat, Sick & Nearly Dead . It is a documentary by Joe Cross, an Australian businessman who was 100 pounds overweight. He decides to embark on a 60 day journey in the United States, using only his Breville Juicer , consuming nothing but fruits and vegetables. Joe also wanted to be completely off the pills he had to take for his ailments. Not only did Joe lose a lot of weight, he also did not have to take any of those medications anymore. He reversed the effects the years of poor diet and lack of exercise had on his body. However, the most inspirational part of the documentary, was not even Joe’s story. Joe met a morbidly obese truck driver named Phil Staples at a truck stop in Arizona. Phil looked like he was in desperate need of chance. You could tell in his voice. He wasn’t quite ready to make that jump yet, until Joe returned to Australia. Phil called him and said he was ready. Phil was 429 pounds and had a BMI of 58. He also had difficulty walking. Truck drivers typically live very unhealthy lifestyles since they are sitting all day and typically eating processed foods at gas stations and truck stops. You could sense the sadness and embarrassment in Phil’s voice. Phil was determined, however. He drank nothing but the juice for 10 days. He was already losing weight. He was walking a little more each day. Then, Phil wanted to continue with the program. After the full 60 days, he lost more than 90 pounds, and he was physically active. You wanted to root for Phil. Phil’s older brother was skeptical about trying the lifestyle changes. He was content on eating large portions of meat. Then, Phil’s brother had a heart attack. The movie didn’t say how old he was, but I’m estimating he was in his early 50’s. Phil’s brother survived the heart attack, then was on a modified program (since you need to consult your physician before starting a fasting program). I don’t want to give away the whole movie, but Phil made a huge change, and the weight loss he experienced in 10 months was phenomenal. Phil began holding sessions where he showed his community how to juice and change their lifestyles. Lets say Phil was also slowly weening off the pills he took on a daily basis. It showed the cost of Phil’s brother’s medications per month and the financial cost of his heart attack, compared to the cost of juicing for a month. Once the 60 days of juicing was complete, Joe, Phil, and many others still juiced, but added regular (healthy) foods back into their diet. I also cannot forget about the lady on the documentary who juiced for 10 days. She was not overweight, but she suffered from migraines. She was in her 40’s, and after juicing, she not only got rid of her migraines, but she said she felt like she was 21 again. I haven’t personally tried this yet, but I may do the 10 day juice fast. I recently started blending fruits, vegetables, unsweetened vanilla almond milk, and two scoops of vanilla whey protein twice a day. It is amazing how full you get and how few calories you consume. So, instead of real Housewives of whatever city they are in now, watch Fat, Sick & Nearly Dead . It might change your life. Visit the official website, http://fatsickandnearlydead.com. You can even view the whole documentary on Hulu as well. The website has a link to see it. You can buy the documentary on AMAZON! Show this to your friends and family. If one person changes their lifestyle by reading this article, then I am happy. This is proof that food, not pills are the best cure for many preventable conditions.